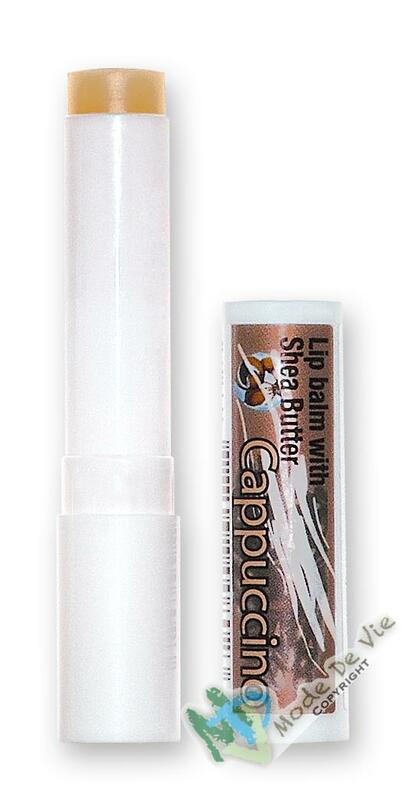 Our Cappuccino shea butter lip balm penetrates deep to hydrate and lock moisture in. Unlike the rest of your body the skin on your lips has no oil glands. So when the lips get dried out they are unable to rehydrate themselves. 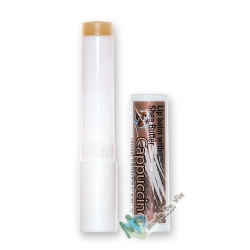 Mode de Vie Cappuccino lip balm is made with natural emollients and does NOT contain petrolatum or paraffin. We use a single blend of shea butter mixed with green coffee extract in this invigorating lip balm, both these ingredients have natural SPF in them. Try the universally appreciated aroma of Cappuccino to add excitement to your lips. 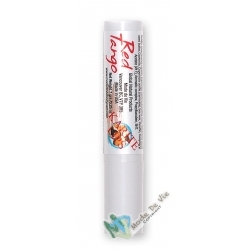 The perfect way to nourish, protect and moisturize your lips.